Homestead Firearms is proud to offer you the best rifles on the market today, made 100% in the USA. You may purchase your Henry Rifle on this website, and we will ship it anywhere in the USA, -or you may pick it up from us in person (by appointment) if you are near Tucson, Arizona. We are a licensed FFL dealer so a background check is required ( no cost to anyone purchasing a Henry from us), or if you need shipping we must ship it to a licensed FFL holder. We will assist with all of these details. There is no shipping cost if you pick it up in person and the FFL check is included free. Check our Current Inventory; the guns listed are available as soon as the paperwork is complete. 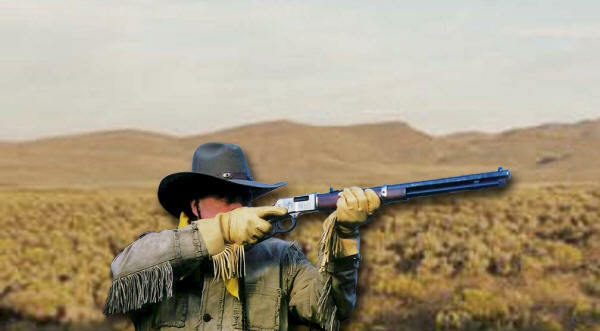 All other Henry rifles may be special ordered for you from our wholesale suppliers. Complete the order form and we will check the availability and confirm the price. If we special order, the price on the website is approximate. A 25 percent deposit is required on all special orders. Our gun prices may be a little higer than some other stores, but few offer a Lifetime Warranty on their Henry rifles. With each henry rifle purchased, you will receive a pamphlet from, Davidson's, that offers a Lifetime Warranty on your Henry rifle.